If you don't know who Handsome Jack is, let me get you up to speed. He is perhaps the most famous male model in the world - and has made the time to be a world class magician. He is known for his enormous ego, being single, and for creating ridiculous scenarios that revolve around his character. The first time I met Handsome Jack was after his set in the Hat & Hare Lounge at The Magic Castle. He was as full of himself off-stage as he was during the show and because he never broke character, I didn’t realize that what I was getting was a continuation of a well-rehearsed persona. 2 years passed before I met Handsome Jack again at a three-day event called Beyond Brookledge, only this time his “Handsome Jack-ness” was turned down to zero. It was then that I learned his name was actually John Lovick: director, writer and magic historian. As it turns out, Lovick is famous for having multiple personalities and I was the last person in Los Angeles to find out. When I heard that Handsome Jack had written a new book on magic, I thought I’d be a nice guy by offering to write a review. As soon as I began reading the book, it became clear that I wasn’t doing anyone any favors. This book is going to sell whether I “help out” or not because of how darned unique it is. It’s written from the point of view of the egomaniacal Handsome Jack who treats the book as an opportunity to reveal Lovick’s entire magic portfolio - while taking credit for it. Where it gets brilliant is when John Lovick, who is frustrated with Jack for giving away his life’s work, chimes in at the footnotes to set the record straight when magical origins and historical information is botched. The fact that Lovick is pissed at himself for writing the book in the first place is really a great twist. It's a master course in magic and I truly believe that what's taught here can be applied to other creative fields. Lovick’s thoughts on maintaining consistency in experience carries over to graphical pursuits, game design and storytelling as well. The first time I read the book I found myself as interested in the anecdotes as much as the magic repertoire it exposed and when I get the time I’ll let my cooler, alter ego read it to me again. 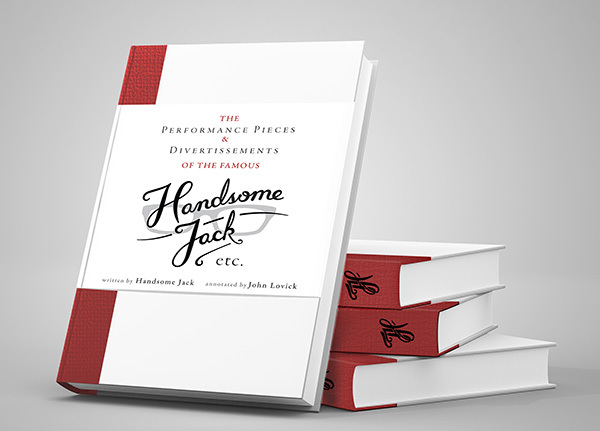 Buy Handsome Jack's book no matter how John Lovick feels about it.